And because even Madame Auring probably cannot tell what Bamboo will do next, I literally held my breath while he delayed saying who he would save in the first live show of the Voice of the Philippines last night. For the benefit of those who failed to watch last night, this stage of the competition is rather different from the more straightforward format of, say, American Idol. Three singers from each team compete against each other, after which voting is opened to the public. The singer who garners the most number of votes is immediately safely through to the next stage and it is left to the coach to save one from the two remaining singers. The singer not picked is eliminated from the competition. Lee Grane was probably lucky to be still in the competition after her lukewarm performance in the Battles. 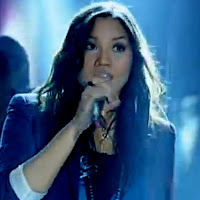 But she bounced back last night with an even more soulful performance than the one she gave during the Blind Auditions. Hence, the case always was for Lee Grane – and the other Batangueña, Penelope Matanguihan – to win over the neutrals rather than depend on the provincial vote. On this premise, I was not surprised at all that it was Perez who won the voting. First of all, she was comfortable with the song. Second, she had her acoustic guitar with her. In her element, there was no way the two other singers could outperform her; and, indeed, she delivered a goosebump-inducing and soul-piercing rendition of the song. The problem with open voting, of course, is that it brings an element of regionalism to the competition. Nothing wrong with this; and even American Idol is known for it. But we Batangueños can be a passive lot; else D’ Intensity Breakers would have placed so much higher than they did in the last season of Pilipinas Got Talent. Behaviourally, it does take a bit to get us started. So, it was all down to Bamboo, Crown Prince of Unpredictability. I thought Talia Reyes’ performance was way too subdued to even warrant consideration. That said, Bamboo being what he is, I would not have been surprised had he sent a garden toad through for croaking all night long. If only you all could have heard my sigh of relief when he finally picked Lee Grane after what seemed like an eternity. The surprise of the night as far as I was concerned was that Darryl Shy earned more votes than Radha did. On the basis of performance, I would say Radha, RJ de la Fuente and Shy in that order. Either the northern regions voted overwhelmingly for Shy – he hails from Baguio – or everyone was captivated by this folksy mestizo with the Florante-esque look and feel. Also, Radha is just way too accomplished for this competition and probably gives people this what’s-she-doing-there attitude. The loser because of this surprise development always was RJ dela Fuente, who is a Fil-Am and thus has no obvious regional voters’ base. If the public voting had gone Radha’s way and Lea Salonga had to choose between Shy and dela Fuente, it did not really take a lot to figure out that she would probably have sent dela Fuente through. One singer who has really been growing into the competition has been Morisette Amon. I thought her interpretation of ‘Jar of Hearts’ was the night’s most accomplished performance. She was as technically brilliant as Radha but with so much more charm. I dismissed her chances even as Sarah G turned around for her during the Blind Auditions but started to sit up and take notice during the Battles. At this point, I definitely consider her a dark horse to win the competition. Many others probably thought so, too, as she topped the public voting and was immediately saved. Sarah G voted Eva delos Santos through at the expense of Junji Arias; and while I cannot call myself a fan of delos Santos, Arias in all honesty probably got farther than he should have. 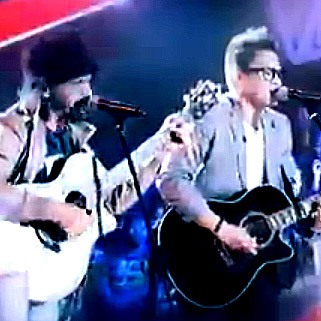 Thor Duly won the public voting for Team apl.de.ap and was also immediately saved. Here is another singer who is really growing into the competition. Like Amon, I also dismissed his chances after the Blind Auditions but started to take notice during the Battles. My problem with Dulay is that he tends to do better with the higher notes. Last night, for instance, there were a few moments of pitchiness which he fixed once the song picked up gear. So, I guess, everything boils down to his making the right song choices all the time. It was probably easy for apl.de.ap to pick Jessica Reynoso over Cora dela Cruz. The latter has the more distinct voice; but she was a nervous wreck last night and just never got started. It was never that Reynoso was the better singer and always that dela Cruz handed it to her on a silver platter.